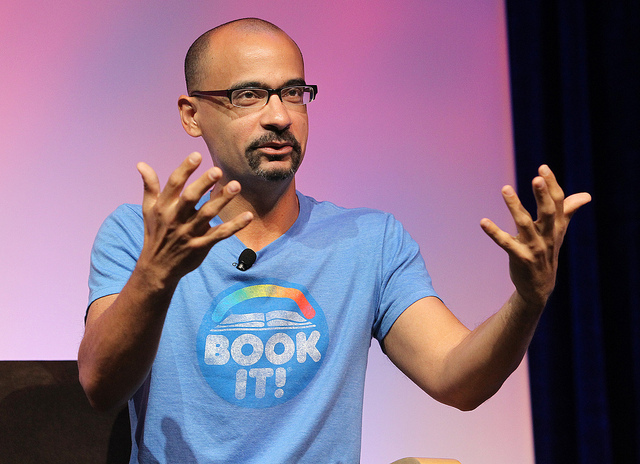 Junot Diaz, 2012 MacArthur Genius, in 2010. The MacArthur Fellows – the “genius” grants – were announced this week. Each year, Chicago’s largest private foundation awards these prestigious prizes, each of which comes with $500,000, no strings attached. I will discuss this year’s “class” of “geniuses,” but before I do, I’d like to begin by eliminating something. Each and every year, when the MacArthur Fellows are announced, there is some dipsh** in your circle of acquaintance who says or posts or tweets some variation of the following: "Aw DANG! I didn’t win AGAIN!" Or "Guess I’ll have to wait till next year," or, "Who do I gotta blow to get a Genius grant?" There. That sh** right there? That sh** that is burning up right now? Let’s all of us agree right now that that is some sh** that we will never, ever say again, OK? That sh** was maybe MODERATELY amusing when it was first uttered. But that was like 30 years ago. And what shallow reservoir of funny there was in this remark has long since evaporated. Look – when you’re the eighteen millionth person to say a thing, it is SUPREMELY annoying to the rest of us. It’s like you’re the “Where’s the Beef?” lady – your moment of cultural relevance is long past and we’d all be grateful if you’d shut your f***ing trap. So can we all swear here and now to two things – raise your right hand and repeat after me: I, state your name, will never willingly utter any variation of this MacArthur remark, because saying something this boring and stupid just demonstrates that the gulf that separates me from being a genius is quite vast. I further pledge that if anyone should make any version of this remark with earshot of me, I shall strike them full in the face with a flyswatter, a flyswatter I shall carry for this purpose. OK. Good. Let us never speak of this again.